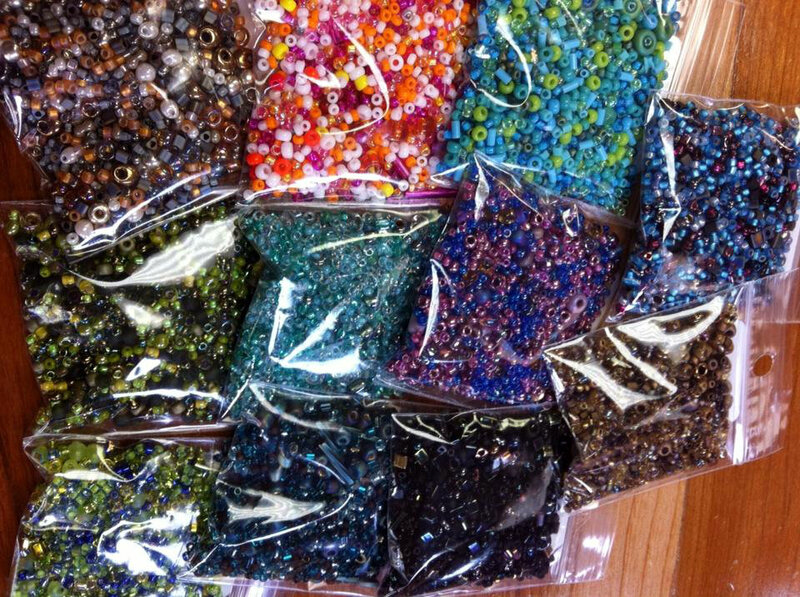 Do you love bead mixes? It’s so easy to make your own! Just take the remnants of seed beads from different projects (keeping them in their separate containers, to start!) Start gathering together a color scheme into a pile. If you’re having a hard time doing an actual palette, do something monochromatic just to get the process started. 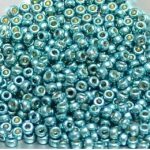 Do a watery blue-green-turquoise mix. Or do an icy wintery mix. Or a glitzy, little black dress-inspired mix. Whatever jumps out at you! Grab a bowl and start combining them! You don’t have to use all of the last of something (you may not NEED half a tube of neon yellow in your beach mix, right? ), so less is more, to get started. Then just take your finger and swirl it all up! Add colors if you need to, but otherwise, you’re done! Now either store your mixes in tubes or bags, or start working with them. So fun!